You can use this brochure as reference. One of Our All-Time Favorite Tours! 1. 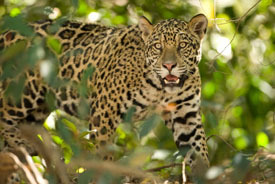 We were the first US company to offer trips to the Pantanal specifically for jaguars. 2. 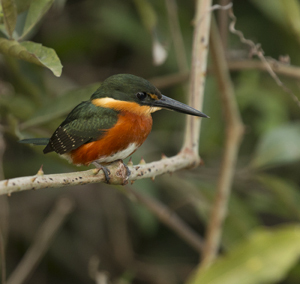 We use several lodges to maximize your photography of all the wildlife species. 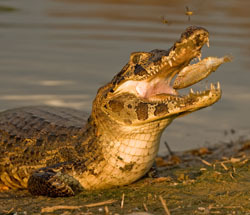 The Pantanal is more than just Jaguars! 3. For the jaguars we are based on a 'flotel' in the heart of jaguar country, allowing us early and late shooting and no long commmutes. 4. MOST IMPORTANTLY, we know the wildlife. We know when there is interesting behaviour to be waiting for, when to wait and when to go. 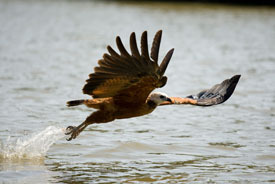 You are with experienced Naturalists when you are with us. An example is given further in the brochure (see About Your Leaders) or in any number of our trip reports. The complete brochure (below) has ALL the details. But here's a quick summation. We visit several different shooting locations en route to the Jaguar area. We attract serious and patient photographers and naturalists. We rotate participants through our boats, guides, and us. Participants get maximum time with us as your guides. The most productive photo tour possible. Accurate, informative natural history information. Professional help in your photography - compositions, positioning, exposure. Driver-Guide Tip is included in the tour price. 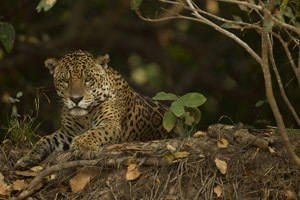 Jaguars and Wildlife of the Pantanal Photo Tour is limited to 8 participants. upon inquiry or scroll further down in this brochure. or check out all of our previous trips HERE. the Birds of the Pantanal. 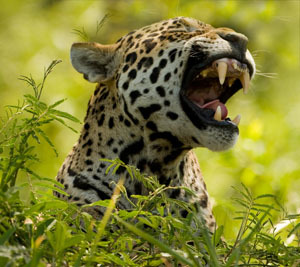 A jaguar at the conclusion of a tooth-baring yawn. Read any or all of our previous trip reports. The jaguar, the Western Hemisphere's largest cat, and the other wildlife and birds of the Pantanal of Brazil offers some of the most exciting and rewarding photography of all of the various photo tours and safaris that we offer. 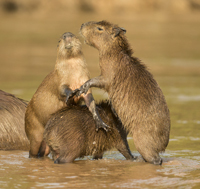 There is no better place in South America to photograph wildlife. This is an exciting, rewarding shoot, filled with diversity and almost continuous shooting. Background information: Now about a decade ago, a British photography magazine interviewed me and, towards the end of our talk, I was asked what goals I still had ahead. I answered that I hoped to some day have a chance to photograph jaguars. Putting that wish into words may have perhaps solidified my efforts to find a great location for jaguar photography, and in 2008 I found just that and did an exploratory trip with two friends. We were wildly successful, and our scouting report tells that whole story. The jaguar is the Western Hemisphere's largest cat, and the world's third largest cat. 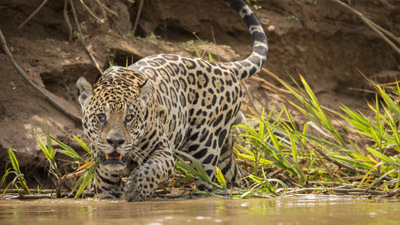 The jaguars living in the Pantanal of Brazil, the location of our photo safari, are the largest of these cats, with males often weighing 250 pounds or more. Ranging from extreme southeastern Arizona and southwestern New Mexico south through Central America and South America east of the Andes to northern Argentina, the jaguar is a successful but elusive cat that is found in deserts, jungles, pampas, and scattered woodlands. It is rarely seen except in the Pantanal, the world's largest wetlands, where jaguars are commonly seen along the river banks. On our scouting trip we were very successful, but that success pales in comparison to what we are experiencing now. In the nine years since I did the scouting trip many jaguars have become habituated, and we usually see at least 10 jaguars per trip, our record is 20 in 5 days. and Mary and Joe's Personal Portfolio. Check out our 2010 Portfolio, too, and for an even better idea of the bird photography, check the portfolio of one of our participants, Rich Miller. Photo Courses, in Pennsylvania next summer! We'll be visiting four locations in the northern division of this vast wetland, the Pantanal, during the dry season when wildlife is concentrated in the remaining wetlands and along the permanent river courses. For more on these locations, please read on, after our subheading on Cooperation. At some of our locations we'll be land and boat-based, where we'll be staying at wildlife lodges. 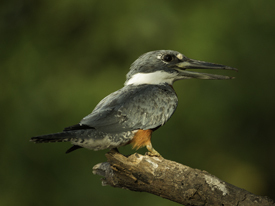 At the lodges we'll be photographing a variety of wild life including brown capuchin monkeys, Jabiru storks, tuco toucans, parakeets, caimens, howler monkeys, great potoos, and a variety of other birds, including kingfishers, hawks, herons, and other water birds. On our latest Photo Tour our group photographed at least 100 different species of birds, as well as at least 15 species of mammals. We'll be photographing some of these species from land - on the grounds of the lodges, or from vehicles as we drive the ranch or Pantanal roads, while others may be filmed from boats. 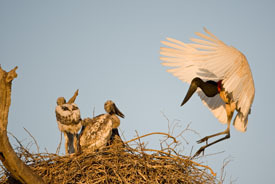 Jabiru storks can be photographed from the ground, but there is also an elevated platform where one can photograph both from an eye-level, treetop perspective. 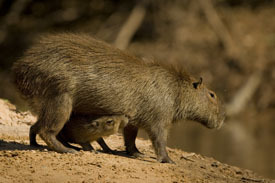 Cabybaras are the world's largest rodent, a giant deer-like beaver, and are common, and favorite jaguar foods. We conduct an annual 'Best Cabybara Photo' contest because getting a great shot of this big animal is challenging! Most of the jaguar photography will occur from our skiffs, 12 passenger boats where we'll have only four photographers per boat. We use two boats, which increases our chances of finding unique subjects. Our participants are always accompanied by either Mary or Joe, with our wonderful in-country guide always with us in one of the boats as well. 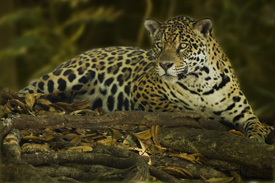 The procedure for finding and photographing jaguars entails cruising the shorelines of the major rivers and the side channels, where jaguars may be resting, hunting, or lying about in the brush or under a tree. Boats are always out on the river searching, and when a jaguar is spotted our boats will be alerted and we'll head to the jaguar. In many ways this is similar to our methodology used in Kenya when we find a leopard, where our other vehicles are called in when one is spotted. We realize that everyone doing this trip wants, first and foremost, to see and photograph a jaguar. Meeting that expectation is our foremost goal, but we are at the mercy of luck and the whim of nature. Here are a couple of things to bear in mind if you are considering doing this safari. 1. Almost everyone who visits the jaguar reserve where we'll be spending the majority of our time sees jaguars - the outfitter's success rate is about 90%. 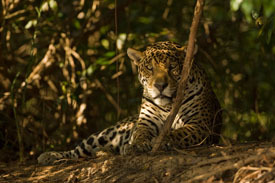 Our participants have never missed seeing and photographing several jaguars on every trip. 2. Jaguars typically visit the river banks and shorelines mid-day, to drink or to wait for prey, and are most visible then, so we'll have good light in our favor. 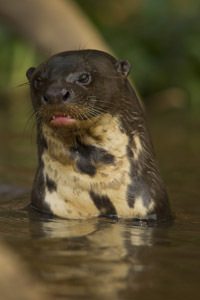 We have done extraordinarily well on all the trips we've done for Pantanal, and we expect that success to continue. To date, NO ONE on any of our Photo Safaris has failed to photograph fewer than three, and some have photographed 15 or more. 3. There are so many other species of birds, mammals, and reptile to photograph that the jaguar, in truth, should simply be the icing on the cake. Working with that philosophy, we have had great and extremely successful trips. 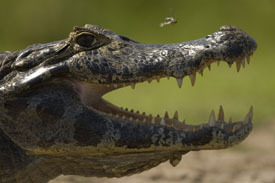 behavior where water shoots up like a fountain from the caiman. In recent years, some outstanding jaguar shots have been produced, including my BBC award winner and a spectacular sequence by another shooter of a jaguar catching a caiman. You cannot expect to duplicate these shots and if you expect to, you will be disappointed. You will capture new images, perhaps even better shots than anything done before, but if you expect our tour to provide those exact opportunites then do not come with us. It cannot be done, and if anyone says they can do so, they're not being realistic. 4. Patience is mandatory. Sometimes we have waited for hours for a jaguar to appear, wake up, or go hunting. The winning BBC photo at the beginning of this brochure is an example. We waited two hours while the mating pair carried on in the forest, unseen. Then they came to the river bank and we struck gold. The shot, below, was one of hundreds while we watched, waited, and photographed from 10AM until 5PM. During that time the cat 'stalked' twice, but there was a lot of down time, too. 5. Jaguars and some of our bird photography will be from our boats, and photographers have to cooperate with one another for shooting. Fortunately each boat is piloted by a Brazilian guide who will do his best to ensure that everyone gets into a good position. Generally, boats move in at an angle to insure that everyone has an angle. The photographer in the front often ends up OUT of position when a boat moves in, as the image size becomes too large, or you are within the minimum focusing distance. 6. 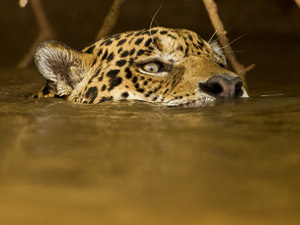 Participants must realize that the Pantanal is not a zoo and you and those in your boat could miss seeing a jaguar. 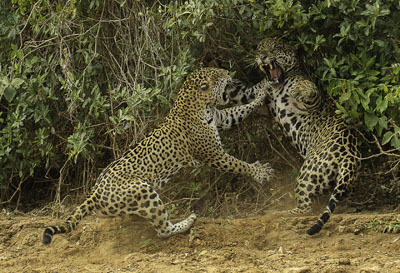 Invariably, some participants miss seeing one or more jaguars, being at the wrong place at the wrong time. But everyone eventually has success -- some are just luckier than others. The Pantanal, the world's largest wetland, can be divided into two sections - North and South, and each section requires a different entranceway and the two are not connected by road. We'll be concentrating our time in the northern section of the Pantanal where we'll be visiting three different locations to stay and to photograph. The exact sequence in which we visit these three sites varies by the tour, but the following description will nonetheless give you an idea of what to expect. 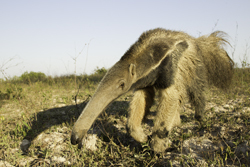 At one of our locations, we'll search for Giant Anteaters and Brazilian Tapirs. 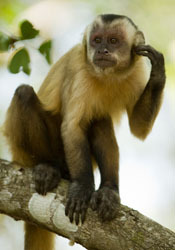 We've had great luck with Howler Monkeys, Capuchin Monkeys, Jabiru Storks, Hyacinth Macaws, and several other bird species. 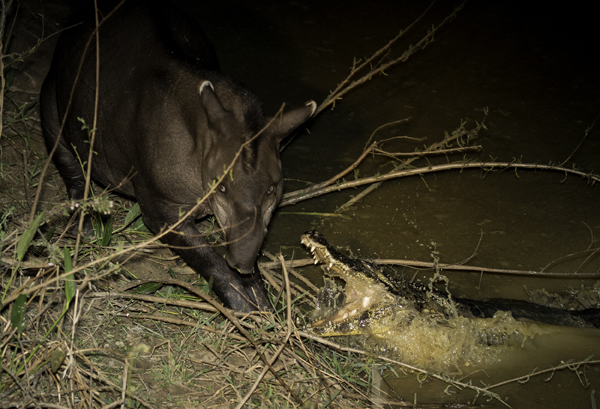 A Yacare Caiman lunges defensively at a Brazilian Tapir on one of our Night Game Drives! 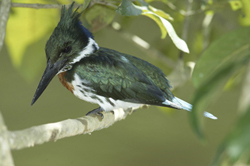 At anotherlocation, we'll divide our time between boat trips for riverine species and independent sojourns on land for terrestrial birds and mammals. On the river we've had great luck photographing eagle-like black-collared hawks and greater black hawks swooping down for fish, yellow-headed caracaras, three species of kingfisher, and various wading birds including the striking sunbittern. 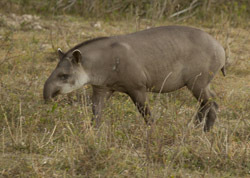 We've had great luck with Brazilian Tapirs here, and some of the best jaguar photography we've experienced, although jaguars are not to be expected on this segment of the tour. 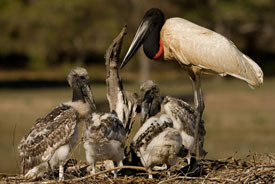 On land, this location is truly special, having a spiral staircase tower where one can photograph the Western Hemispere's largest wading bird, the gigantic, black-headed Jabiru Stork at its nest. From the tower one can actually look down into the nest, and frame-filling shots of the nest are done with a 300mm lens! 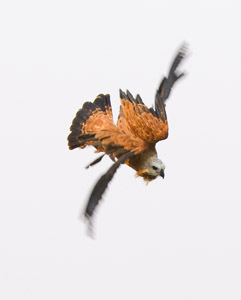 Larger telephotos can be used for tight shots of an adult or the young, but a 70-200mm zoom may be even more useful to capture the adults in flight as they return to the nest. 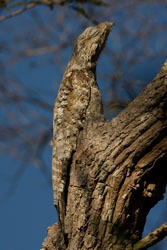 One of the world's most cryptic birds, the great potoo, has roosted in the same tree for years and one can photograph this bird that mimics a stump quite easily. On the well-traveled track and trail that leads to the potoo we discovered fresh jaguar tracks several times. Using trail cameras I've photographed jaguars, ocelots, tapirs, brocket deer, tamanduas, and more on the trails at night. 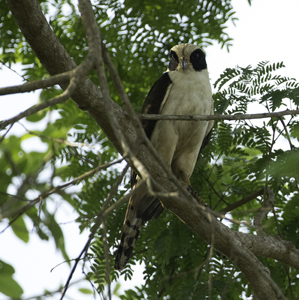 This location has a wide variety of very tame birds, including hyacinth macaws, toco toucans, chestnut-eared aracaris, crested caracaras, woodpeckers, woodcreepers, cardinals, jacanas, whistling herons, cormorants, yellow-fronted parrots and parakeets, and more. On our night game drives we've had horned owls, ocelots, marsh deer, caiman, boat-billed herons, and various nightjars. 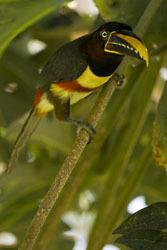 The lodge maintains several feeders where the toucans and cardinals and several other species visit, including the Glittering-throated Emerald Hummingbird and the oriole-like and blazingly colored Troupial. The majority of our time, however, will be at our special jaguar flotel where we'll cruise the rivers looking for jaguars and other species. 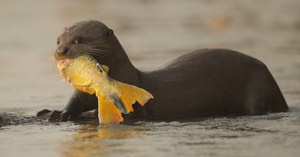 In addition to jaguars we should have great luck with giant otters, cabybaras, caimans, four different kingfishers, sunbitterns, hawks and kites, jacanas, flycatchers, and more. Between these locations one could see or photograph at least nine species of mammals and at least 50 species of birds, and closer to 75 to 100 species of birds if you concentrated on doing so. Additionally, there are toads and treefrogs, and some lizards and, of course, large caimans. In 2014, photographing in both the North and South Pantanal, I photographed 17 species of mammals and at least 90 species of birds. 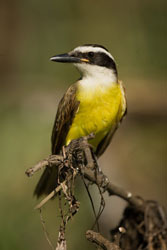 As part of the tour, you will receive my ebook on the Birds of the Pantanal. 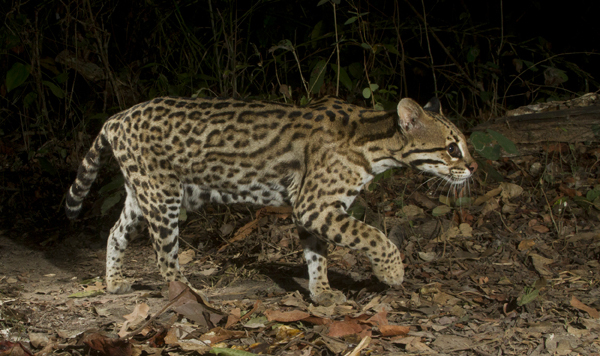 Participants will have at least one evening for possible Ocelot photography at a special bait station. Most evenings the Ocelots arrive, but not always -- 90% perhaps? You'll be using your own flash or flashes here, and for those wishing to use multiple flashes I'll help set you up -- and provide you with the list of gear you'll need to do this effectively. YOU REALLY DO NOT NEED FLASH. 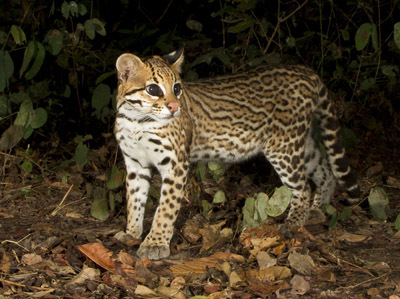 The Ocelot station is outfitted with four flood lights that provide even, and very pleasing lighting, and at higher ISOs shutter speeds of 1/125th are possible. That shutter speed will not 'freeze' an Ocelot as it jumps or runs along a branch, but when it paused, to look out toward our cameras, that shutter speed will stop the action. I mention this because using one flash, especially if it is on-camera, will likely produce Red-Eye. Many photographers have limited experience with flash, and even less if they try an off-camera, multiple flash set-up. Last year, I used the flood lights and did not use the flashes I brought along. We will provide more information on this to our registered participants. Also, every year I set up camera traps using my flashes and Range IRs in an attempt to photograph ocelots, tapirs, or other nocturnal species. I will be happy to assist any of our participants who wishes to do the same, however, you will have to have your own equipment. I will provide a complete list of suggested gear for this, upon request. To date, no one has taken up this offer, and it does require extra effort and energy, since the set-ups are done in our 'spare time' mid-day, and armed right before dark. I'll discuss the pros and cons of this with anyone who is interested. As stated above, there are scores of birds and many mammals and reptiles. red brocket deer, marsh deer, various bats, yellow armadillo, giant anteater, southern tamandua. 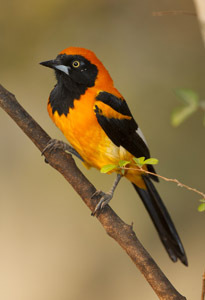 Participants will receive a free copy of my 100+ page ebook on the most commonly photographed birds of the Pantanal. caimen lizard, Tiger Rat Snake, and various treefrogs, frogs, and toads. The Photo Tour begins and ends in Cuiaba, Matto Grosso, Brazil. From Cuiaba we'll travel by land into the Pantanal to our various destinations, until we board our boats for our stay at the Flotel where we will be based in true jaguar country. In-country transportation with the group, all meals, and lodging (double occupancy) is included. If you miss the flight to Cuiaba with the group, our Brazilian tour company will provide the land transportation to our location in the Pantanal, however, you are responsible for that transportation cost, as well as any lodging or food costs incurred. We recommend participants arriving in Sao Paulo early in order to make the connecting flight to Cuiaba. Limited single supplements are available, as our 'luxury' accommodations at the Flotel for an additional cost. Tips for the boatmen, staff, and Brazilian guide are included, however participants usually add a little extra as a gratuity, although this is optional. 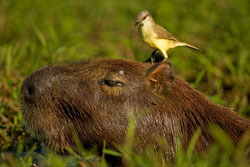 We will be staying at four different locations to maximize the full potential of the Pantanal. Although we will be moving from one lodge to another, full 'travel' packing won't be necessary as we'll be going by vehicle. Photography may occur at any time, either at the lodges or while in transit. We rotate everyone through our two boats so that everyone has the benefit of our wonderful Brazilian guide (one of the best I've had anywhere in the world) and with Mary and with Joe, and with the various boatmen. The Photo Tour/Safari is limited to 8 participants. Please contact our office immediately if you are interested. My wife Mary Ann and I strive to provide the most comfortable and thorough Photo Tour you will experience. We have been doing this together for 25 years, and I've been doing so for a few more years than that! 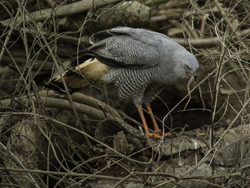 We lead all of our photo tours and safaris, and we have been leading tours to the Pantanal for eight years. 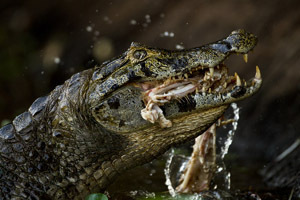 I doubt if there isanother American-based photographer, and certainly no husband/wife photo team, with the amount of experience that we have leading photo tours to the Pantanal. This fact is relevant because we know the wildlife, we know behavior, and we know what will make a great photograph. Here is a perfect example. 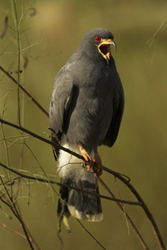 This Crane Hawk is a species that resembles the African Gymnogene, aka African Harrier Hawk, and hunts in exactly the same way. On our most recent trip we watched as several boats passed by, blandly noting 'a hawk' perched in a tree, nothing exciting. However, we knew this bird's behavior, which is quite interesting as it hovers at a cavity or nest hole, or hangs tight to a tree trunk, fishing for a baby bird, a lizard, or a frog hidden from view. We waited, and were treated to a wonderful view as the Hawk captured five different frogs in twenty minutes. Only one other skiff was there -- occupied by an experienced Pantanal film-maker. Both Mary and I are naturalists and photographers, and I'd hope you've seen our credits. These included Audubon, National Geographic, National Wildlife, Ranger Rick, Natural History, Living Bird, Birder's World, Wildlife Conservation, and most nature/wildlife calendars. In 1994 Mary Ann won two first place awards in the prestigious BBC Wildlife Photographer of the Year competition, in Endangered Species and in Bird Behavior. In 1998 she had three highly commended images published in the BBC competition. 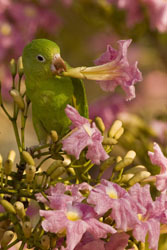 She won first place in the Cemex/Nature's Best photo contest in the Humor Division for Professional Photographers. In 2003 she won first place in Mammal Behavior in the Agfa All Africa photo competition. Mary has written a number of children's books, including Leopards, Grizzly Bears, Woodpeckers, Flying Squirrels, Sunflowers, Cobras, Jupiter, Boas, Garter Snakes, Pythons, Rattlesnakes, Ducks, Chickens, Horses, and Cows, and a coffee table book, Out of the Past, Amish Tradition and Faith. I've written several how-to wildlife photography books -- A Practical Guide to Photographing American Wildlife, The Wildlife Photographer's Field Manual, The Complete Guide to Wildlife Photography, Designing Wildlife Photographs, Photographing on Safari, A Field Guide to Photographing in East Africa, and The New Complete Guide to Wildlife Photography. 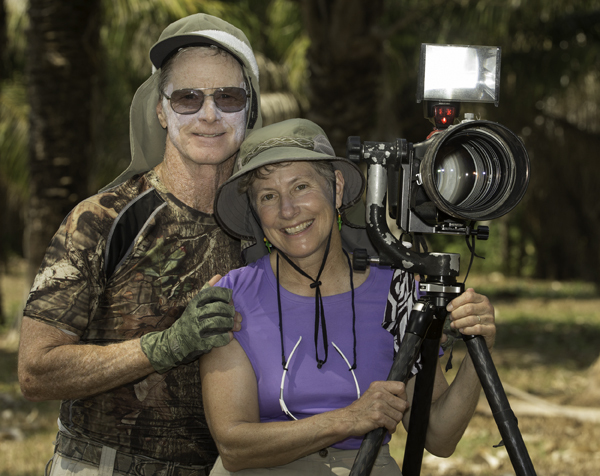 In 1999 Todtri published African Wildlife, and in 1999 we produced our first instructional video, A Video Guide to Photographing on Safari with Joe and Mary Ann McDonald. I've won several times for highly commended images, 2nd place, and 1st place in both the Cemex/Nature's Best and the Agfa all Africa photo competitions. In 2003 I won 2nd place in the World in Our Hands category in the BBC competition with an image from Africa. In 2013 I won 1st place in Mammal Behavior with the jaguar image that introduces this brochure. Mary and I were featured in the book, the World's Best Wildlife Photographers, and we have written columns in Outdoor Photographer magazine and in several web magazines. Currently we are editors for Nature Photographer magazine, contributing an article each issue. Our latest book, Digital Nature Photography, From Capture to Output, is a PDF file that covers EVERYTHING you need to know about digital nature photography, including workflow, file management, RAW conversion, and maximizing the digital image. It is available directly through our office. 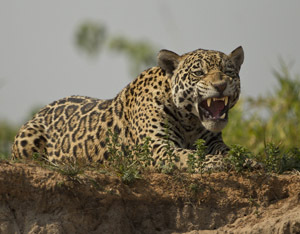 We have produced one book to date on the Jaguars and the Wildlife of the Pantanal, but an ebook is in the works. 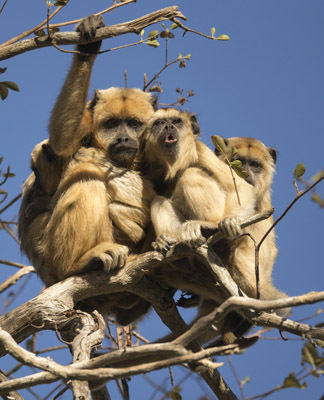 Sign up for our Constant Contact Newsletter to receive the latest information on our up coming tours and safaris, immediate opening offerings, and other news. We do not share this list with any other source.